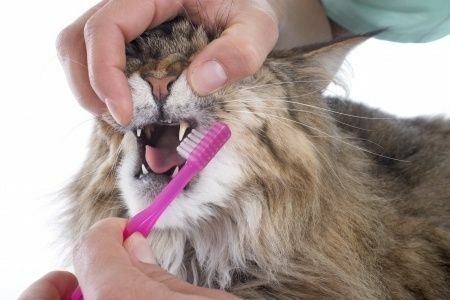 Dental prophylaxis, otherwise known as a clean and polish, is the most routine dental treatment performed on cats. Whilst all dental work requires that your pet has general anesthetic, the risks are minimal and we can perform a pre-anesthetic screening test if requested or required. Once your cat is under sedation we will perform an oral examination before commencing with cleaning and polishing. If any radiographs or extractions are required then we will do them at this time. As with cats, brushing your dogs’ teeth as a part of their regular daily routine can help prevent the onset of oral decay. There are plenty of canine brushing kits available. Again, make sure you purchase special pet toothpaste as human toothpaste can make them very sick.